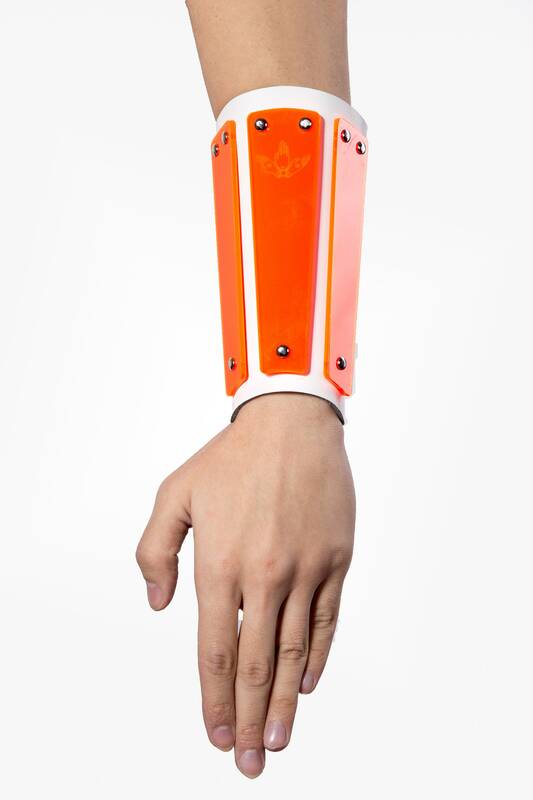 A strong fashion statement for renegades who want to stand out. 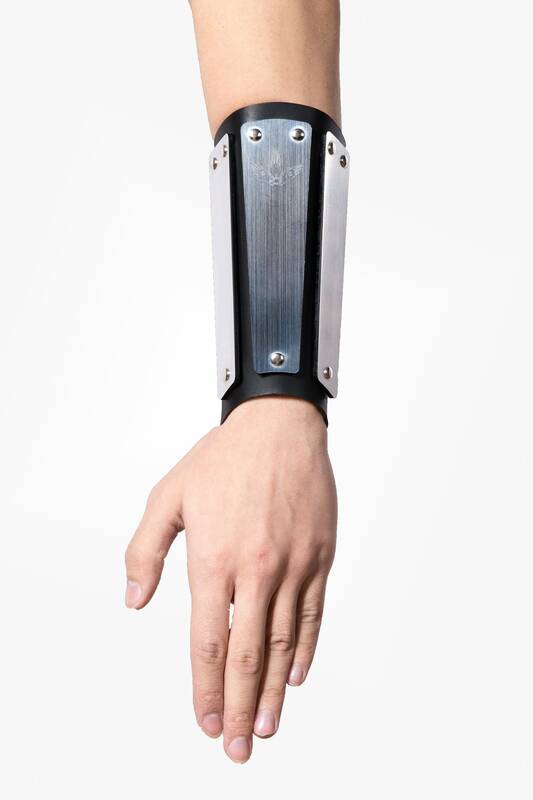 Designed originally for dancing in Berghain, these Gauntlets mix elements of fetish, futurism, cyberpunk and alternative fashion to create a truly unique piece that will be noticed. They pair nicely with our harnesses and collars to make a complete look. 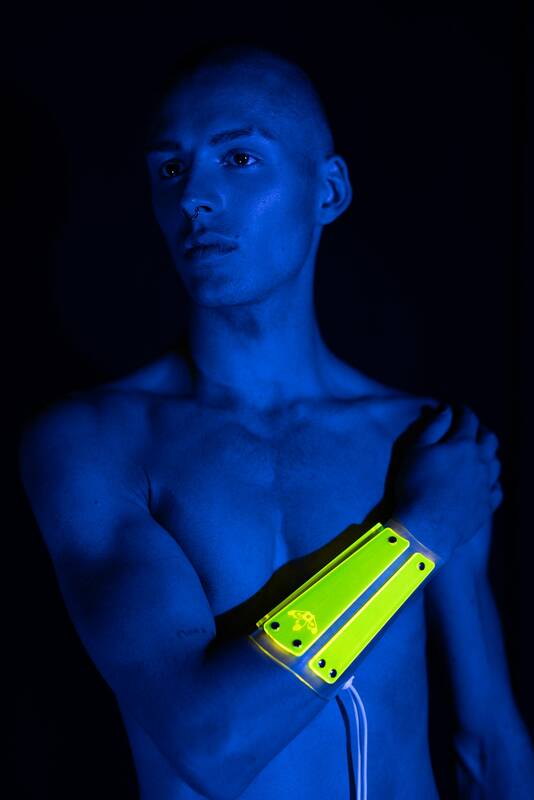 Featuring 3mm thick Fluorescent acrylic panels attached to a leather or PVC lace-up gauntlet. 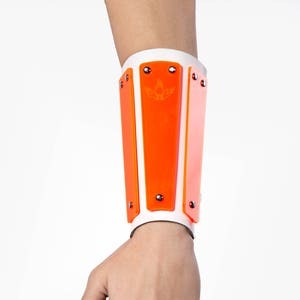 These gauntlets are the ultimate dance accessory, you can see peoples dance styles change immediately as they start to feel more like a dance floor warrior. 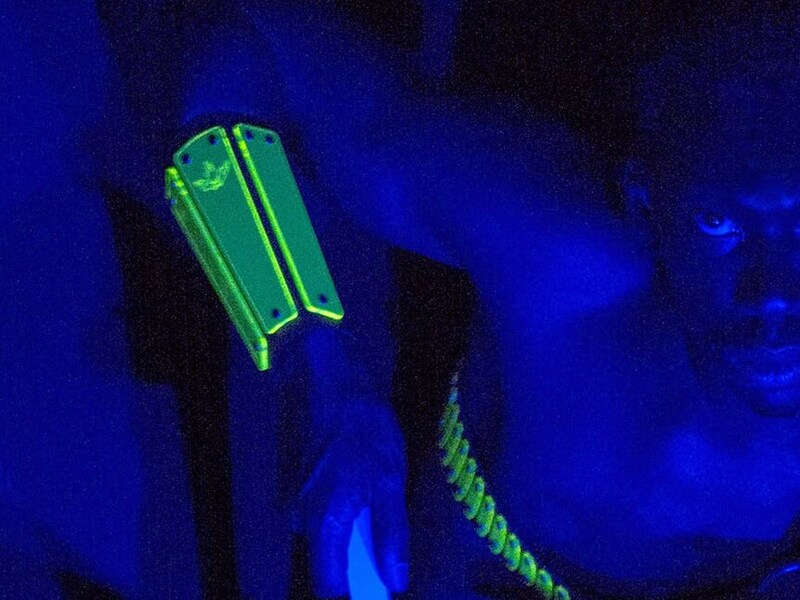 The acrylic glows when it comes into contact with any kind of blueish light, such as that found in night clubs, at sunset, or anywhere that has RGB LED's. - Lasercut from high quality 2mm thick top grain vegetable tanned black Italian leather or vegan PVC . Price is for 1 Gauntlet. I like the construction and the green plexiglass pops! 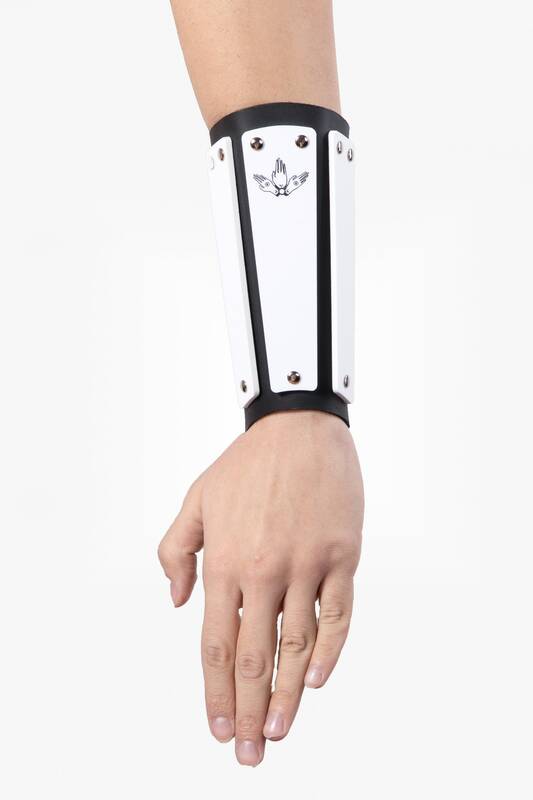 Holds tight to my arm. No slip. Perfect piece! !